The internet has been ablaze in recent weeks with talk about the suspension of Peter Enns from the faculty of Westminster Theological Seminary (see my previous post). So my ears perked up on Tuesday when the President of my college announced in chapel that there would be a debate at Dallas Theological Seminary between two faculty members over the subject matter of Enns’ book Inspiration and Incarnation: Evangelicals and the Problem of the Old Testament. So I bought the book and made plans to attend the debate. I finished reading the book last week and went to the debate which was held on the campus of DTS on Thursday night. Today’s post contains my reflections on the book, and tomorrow I will comment on the DTS debate. Peter Enns, Inspiration and Incarnation: Evangelicals and the Problem of the Old Testament (Grand Rapids: Baker, 2005). 197pp. $18.99. Even though the argument is informed by serious scholarship, you don’t have to be a technician of the scholarly guild to understand Inspiration and Incarnation. The book is pitched to a broad audience. It is less than two hundred pages, and there are no footnotes. I bought the book on Tuesday afternoon and finished reading it on Wednesday (and I’m a slow reader). If you pick this one up, it won’t take long for you to make your way through it. Enns’ aim in the book is to get evangelicals to reconsider their doctrine of scripture in light of the past 150 years of critical scholarship on the Old Testament (p. 13). To that end, Enns employs Christ’s incarnation as a metaphor for the theological synthesis he wishes to achieve. Just as Jesus Christ is both fully divine and fully human, so the Bible is both fully divine and fully human. According to Enns, liberal and conservative doctrines of scripture have been imbalanced on precisely this point. Whereas conservatives tend to emphasize the divine nature of scripture over the human, liberals have emphasized the humanness of scripture at the expense of the divine. Enns intends to correct this imbalance. In particular he endeavors to challenge evangelicals who hold to inerrancy in a way that is insensitive to the last 150 years of historical scholarship. 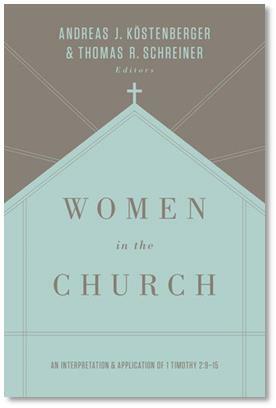 The heart of the book is three chapters that address three areas that in Enns’ view have not been handled well in evangelical theology: (1) the Old Testament in light of other literature from the ancient world, (2) theological diversity in the Old Testament, (3) the way in which New Testament authors use the Old Testament. Here are a few informal reflections on each of these three. Chapter 2: The Old Testament in light of other literature from the ancient world. Probably the most provocative claim in this part of the book is Enns’ contention that narratives from Genesis 1-11 comprise adaptations of pagan “myths.” According to Enns, “myth” is not simply a shorthand for “untrue” or “made up” (p. 40). Rather, a myth is an ancient literary genre, a “premodern, prescientific way of addressing questions of ultimate origins and meaning in the form of stories” (p. 40). Because Genesis bears striking similarities to myths such as the Enuma Elish and the Gilgamesh epic, the primeval narratives of Genesis should not be read as straight-forward historical descriptions. There are many questions that could be raised in response to Enns at this point. The texts that Enns cites for comparison are dated in the second millennium B.C., a time roughly contemporaneous with an early dating of the exodus (about 1446 B.C.). If oral traditions preceded the written versions of these narratives, then who’s to say which story came first? The biblical one or the pagan one? A second question would be to ask for a clarification of Enns’ definition of “myth.” On the one hand, he employs the term as a genre description. On the other hand, he uses the same term as an assessment of the historicity of narratives. He says that myths are “made up” stories and that the narratives of Genesis are myths (p. 41). What does Enns make of other texts in the canon of scripture that treat these narratives as historical descriptions (e.g. 1 Chronicles 1:1; Luke 3:38; 1 Corinthians 11:8-9; 15:45; 2 Corinthians 11:3; 1 Timothy 2:13-14)? Did these other texts get the historical referentiality of Genesis wrong? Chapter 3: Theological diversity in the Old Testament. Enns notes that the diversity between verses four and five actually reflect the diversity of situations that people find themselves in everyday (p. 74). Part of the wisdom of the Proverbs is the ability to distinguish situations in which verse 4 applies from situations in which verse 5 applies. Thus the verses complement one another when understood correctly. Elsewhere in this part of the book, however, Enns uses the word “diversity” differently than the instance above. In some of his uses, Enns employs “diversity” to refer not to complementary texts, but to contradictory ones. For instance, when Enns contrasts Ezekiel 18:19-20 with Exodus 20:5-6, he speaks of the diverse accounts as a “stark contrast” and raises the question of “whether Ezekiel contradicts the second commandment” (p. 89). Does Enns mean to imply that “diversity” sometimes entails contradictions? Certain this is an issue that needs to be developed further in a book that calls on evangelicals to reconsider their views of inspiration. Later in the chapter Enns says that “there is coherence between the parts, but that coherence transcends the level of simple statements or propositions” (p. 96). Perhaps the “stark contrasts” have coherence in Enns’ mind, but I’m not sure that Enns is sufficiently clear on this point. I should mention one other troubling portion in the “diversity” chapter. In a section titled “Does God change His mind?” (pp. 103-107), Enns adopts readings of Old Testament texts that would seem to support an open theist position. On Genesis 22:12, Enns writes, “It is clear that the purpose of this test was not to prove anything to Abraham but to God. . . In this story, God did not know until after the test was passed” (p. 103). I’m not saying that Enns is an open theist, but his theological synthesis is lacking: “[God] is, on the one hand, powerful, one who knows things before they happen and who causes things to happen, one who is in complete control. On the other hand, he finds things out, he can feel grieved about things that happen, he changes his mind” (p. 107). Even though this statement may comprise an apt description of some biblical narratives, it’s hardly a helpful way to conclude the matter. Just because you’re a biblical scholar doesn’t mean you get to punt just as the theological implications of your exegesis become clear. Chapter 4: The way in which New Testament authors use the Old Testament. This chapter is perhaps the best one of the book, though it still has its difficulties. Enns notes that the New Testament’s use of the Old Testament often appears to run rough-shod over the original meaning of the Old Testament. He argues that this isn’t necessarily a bad thing since the apostles are interpreting the OT “christotelically” (p. 154). The apostles viewed the Old Testament as having its fulfillment in Christ, and so they read it as such. The problem with Enns’ approach in this section is the assumption that the New Testament writers could be inconsistent “with the original context and intention of the Old Testament author” (p. 115). Ironically, there is not one mention of the discussions of “typological fulfillment” as a way of understanding the NT’s use of the OT. One of the benefits of this approach is that it understands the NT’s use of the OT as christotelic without abusing the original intention of the OT authors. This approach is prominent in the literature. My good friend Jim Hamilton, for instance, is making a career out of promoting this point of view (see here for instance). More interaction with this approach on Enns’ part would have been helpful. Enns’ book is fascinating, and it is a great primer for anyone wishing to understand how critical study of the Old Testament over the last 150 years has presented challenges to evangelical conceptions of biblical inspiration. At the end of the day, however, Enns is far too dismissive of evangelical responses to critical scholarship. He acts as if evangelical scholars have been ignoring what has been going on in the wider guild. This is simply not the case. Nevertheless, Enns is bold in this accusation. He alleges that evangelical biblical scholars often do their work out of “fear” of historical scholarship: “Fear cannot drive theology. It cannot be used as an excuse to ignore what can rightly be called evidence. 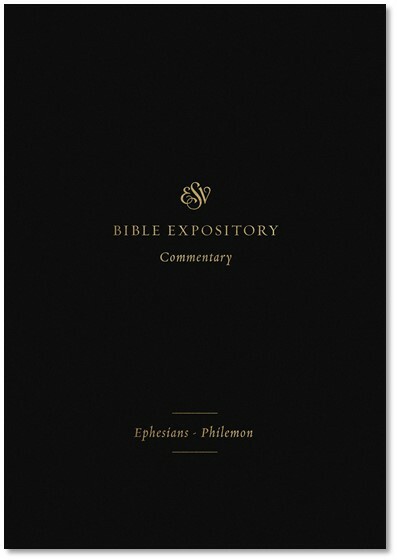 We do not honor the Lord nor do we uphold the gospel by playing make-believe” (p. 172). 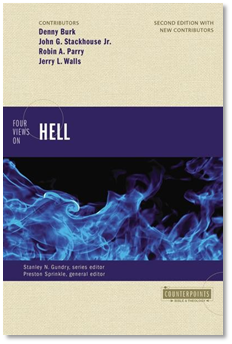 Is this really Enns’ view of evangelical biblical scholarship? That’s it’s driven by fear, that it ignores evidence, and that it plays make-believe in its historical assessments? Enns has essentially claimed that those who would disagree with his view are refusing to engage the “evidence.” I hardly think this is the case. Thus, his charge against evangelical biblical scholarship really falls flat. This is a serious book with a serious thesis, but I don’t think it’s very compelling in the end. The warmed-over conclusions of critical scholarship still strike me as problematic at numerous points, and there is still much that is incompatible with an evangelical view of scripture. I know Enns would disagree with this assessment, but I suspect that I won’t be the only evangelical who comes to such a conclusion after reading Inspiration and Incarnation. Have you made the switch to Vista? Thanks for reading the book and giving an informed analysis. I too read the book last week and find your review very fair to Enns and the contents in his book. I would disagree with some of your conclusions in regards to Enns’ views, but I think you were very fair in acknowledging the many strengths as well as the perceived weaknesses. One thing I want to mention that I feel you left out though is more of his discussion on theological diversity. Enns says that we (21st century Christians) should not impose our modern standards on the text. In other words, we should not expect the biblical text to look the way we want it to. Apparent contradictions to us would not have been so in the slightest to readers of the canonical books. They can read the Samuel account where the author states that God caused David to take a census, then they can read the Chronicles account where the author states that Satan caused David to take a census of his army, and have no problem at all. I’ve also spoken with a professor about this and he said the only students he finds that have problems with this are western Christians. He said he has had students from Korea, Japan, China, and India, and it causes them no concern whatsoever nor do they really care about it. Basically, we expect the Bible to be some magical book that fell out of the sky and every nuances of theological thought is the same from book to book because systematic theology has taught us to think this way and those are our modern standards on the text. Therefore, when we come across an apparent contradiction, we either abandon the faith and say it’s full of errors, or we explain them away trying to create some type of harmony or synthesis. I believe Enns would say both sides have it wrong in this regard, and we must take account the context of the book as well as the context in history (his discussion of history vs. historigraphy would have been helpful). The Bible is inspired, yes, but it is also very human. Why you ask? Because it simply behaves that way. Just look at the astonishing differences between Samuel/Kings and the Chronicles, or even amongst the Gospels. Therefore, we should not impose our modern standards on the text and expect it to behave how we want it to. The Bible does contradict itself in some places by our standards, but to the original audience this would hardly have been the case. I personally find this view quite refreshing b/c he doesn’t shy away from the problems we have and objections we often hear where we’re unable to give an educated and informed response. I found his thoughts on God changing his mind quite refreshing, simply b/c I have read many reformed scholars views in regards to this and they all miserably fail to go where the evidence leads them and against the obvious meaning of the text in my opinion. Enns doesn’t shy away from this, but instead embraces the diversity in this regard…even though his answer doesn’t satisfy our western American mindsets. One NT scholar at my school complained about the book b/c he said it raised more questions than it answered. This is a pretty modern way to look at it, but that is actually what I liked about Enns’ approach. He gave me many things to wrestle with and a good hermeneutical grid to achieve those answers without shying away from problems and issues we have as westerners. I found his style very irenic and thought-provoking, and I am very grateful for that and look at it as a tremendous strength in the book instead of a weakness. Very rarely do I read a conservative scholar whom I agree with and learn from so much. One more point, I had never heard of his “christotelic” terminology, and found it very enlightening. It provided a good grid for me to view the NT use of the OT through, especially his discussions on 2nd temple interpretation. Again, thanks for this Denny. You have dealt with this very candidly and I respect your review. I’m looking forward to what you have to say tomorrow about the debate and other thoughts on the book. Thanks, Denny. I am also still digesting the long review that you linked last week. It is hard to find more than a few minutes at a time of free time right now. I hope that evangelicals don’t overreact and label the whole incarnational concept of Scripture anathema. I first read the idea some years back and found the basic concept intriguing and helpful. As with any tool, sommeone might use it in an unacceptable way but that doesn’t mean the idea itself is without merit. The idea about viewing the scriptures the way we view Christ is fascinating. I’ve never thought about it in that way. However, I will say that I know many people who reject the “liberalism” of modern science out of fear. Enns is attacking intellectuals – and your familiarity with that crowd outstrips mine, Dr. Burk – but, in my experience, it is wildly true of many average Christians. I do not think that the New Testament writers’ use of the Old Testament stories necessarily means that they are confirming their historicity. Someone said this on another post, but it is possible that the NT writers were appealing to stories common to a large group of people in order to make a point relevant and salient (all the things a story/illustration/example is intended to do). On your last point Brett I wonder if Jesus had quoted a Odysseus to make a point whether people would think he was affirming the historicity of him and everything he said and did. Sometimes it just makes more sense to quote someone or an event (or commonly shared narrative) everybody knows to make a point whether the person or story was true or not. I’ve quoted and referred to movies and tv shows many times before to make a point about some truth. All that to say that I don’t think that the NT’s use of OT stories means that they agree that it was factually true or historically accurate (maybe true on a different level). I think Flannery O’Connor’s writings might be an example. What she wrote about was “real” in the sense that she wrote stories meant to reflect the real life around her. Yet they weren’t “real” in the sense you could dig up newspaper clips and find witnesses to the events actually occuring. If the NT authors simply intended to refer to such a known story then their usage would make no comment to said story’s historicity. However, I think the point made in 1 Cor 10:11 is relevant(“These things happened to them as examples and were written down as warnings for us…”). The conversation quickly gets very complex. Still, it is my opinion that some biblical events and stories lose their bite if they were not historical – the ultimate case being the resurrection. I agree Matthew. I’ll be honest it is my natural inclination to believe the historicity of stories in the Bible (especially the Exodus) but if some how I came to believe a particular story was not true then I would still try to understand what truth that story is telling and I don’t think my faith would collapse or need to be abandoned (save for a few important stories).